I have to admit that sometimes it’s the recipes that seem the most basic, or like they shouldn’t need a recipe, that I wind up screwing up. 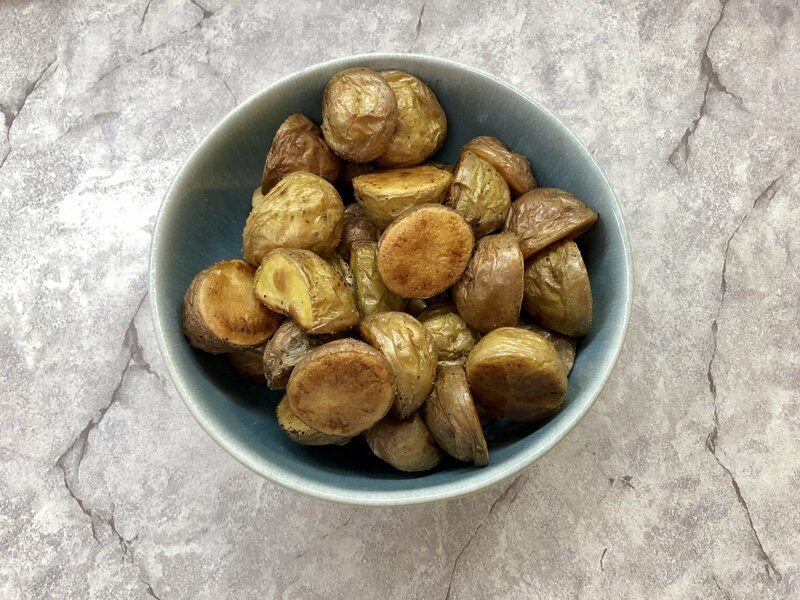 Roasted Potatoes are definitely one of those things! 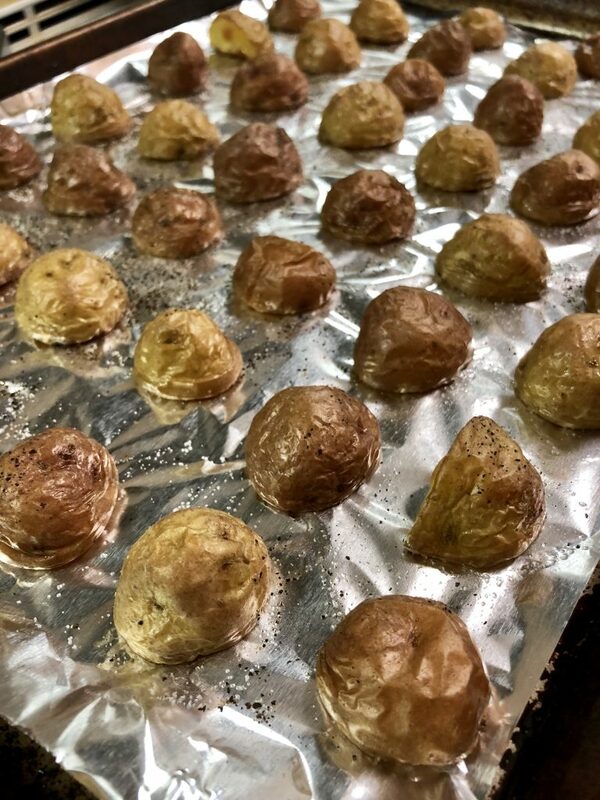 Get the temperature or the cook time wrong and you get crunchy, par-baked potatoes. Well, I’m putting an end to this! 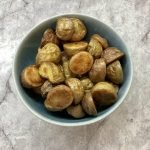 I’ve finally perfected a full-proof easy method for Simple Roasted Potatoes. This recipe has very simple seasoning and can easily be jazzed up by adding herbs or spices. I think this is the perfect baseline and you can change it up as desired. Enjoy! 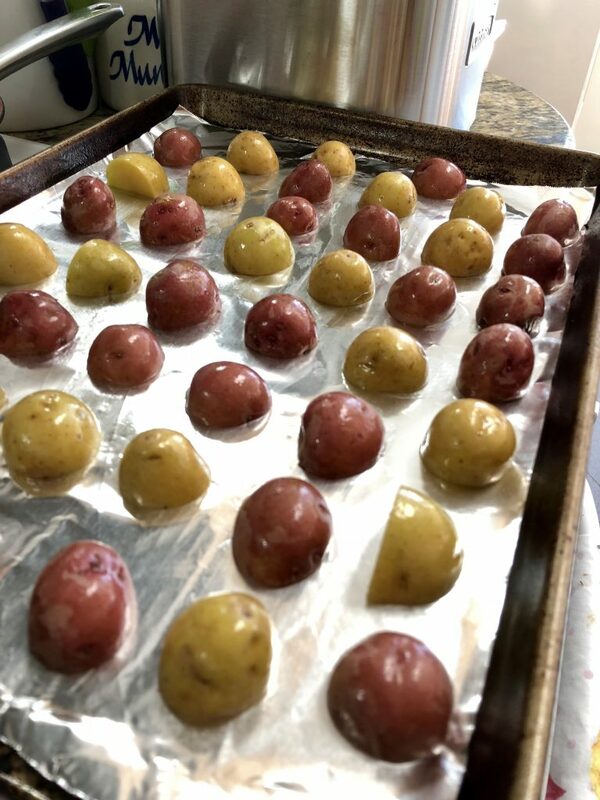 In a medium bowl, toss the potatoes with the olive oil until coated. 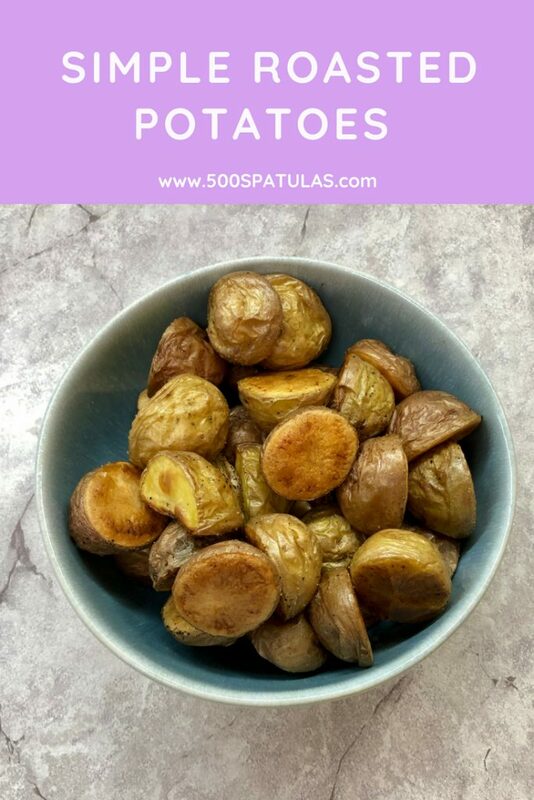 Arrange the potatoes on the prepared pan in a single layer, cut side down. Leave some space in between each potato so they don’t steam eachother. Sprinkle liberally with salt and pepper. If you want to add additional herbs or spices, I would do it now. 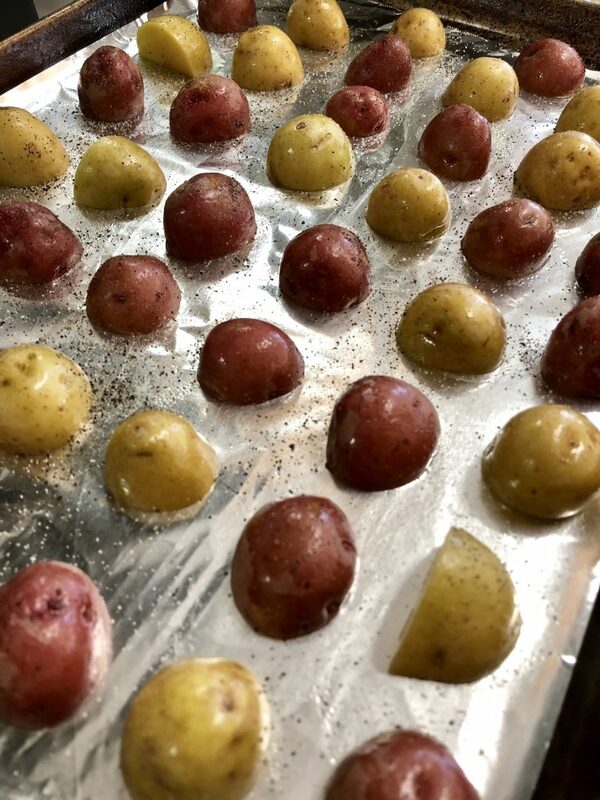 Roast until tender (approximately 30 minutes) on a lower oven rack. When the potatoes can easily be speared with a fork, they are done! 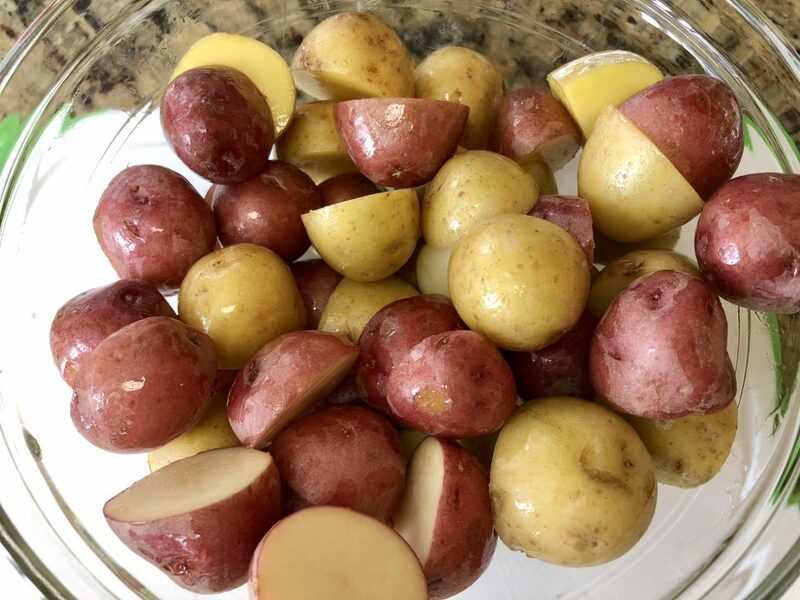 In a medium bowl, toss the potatoes with olive oil until coated. Arrange potatoes, cut side down on the prepared pan. Leave some space in between each potato so they don't steam each other. Season liberally with salt and pepper. Roast on a lower oven rack for 30 minutes until tender. Potatoes are done with easily speared with a fork.